Welcome to the world of Kylie van Dam. I make music for small, medium and older children as well as for those whose childhood-days have left them long behind. On this site you’ll find links to the films I make for the purposes of education (both English as first and second language) as well as for songs I’ve written on request…or just because I really really fancied it. 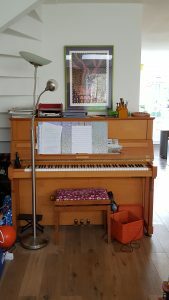 You’ll also find basic posts used in introducing music and English to my Dutch primary school children, as well other exciting projects I’m involved in. This is quite a new venture for me, so if you’d like to say ‘hi’, ‘I love your music, can we use it?’ or even ‘here are some hot tips for this new career of yours’ feel free to do so.